Am 21.4. kommt es in Sundsvall zum Schwedischen Showdown im Schwergewicht zwischen Otto Wallin und Adrian Granat um die EU-Europameisterschaft, das Event wird in einer Co-Promotion zwischen Team Sauerland und EC Boxpromotion durchgeführt. 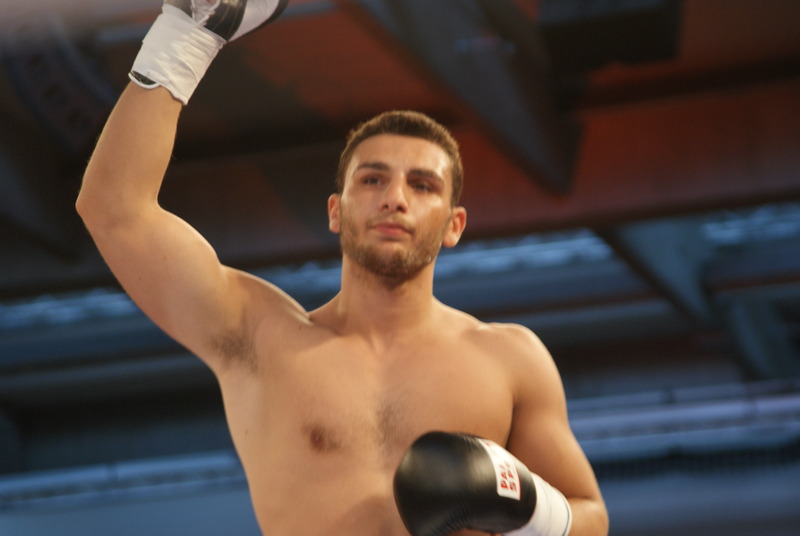 Mit von der Partie ist auch Albon Pervizaj, der Hamburger Schwergewichtler vom Team Sauerland wird gegen den Irakli Gvenetadze, Rechtsausleger aus Georgien, boxen und will seine makellose Bilanz ausbauen. Der Schützling von Ulli Wegner und Georg Bramowski feut sich wieder im Ring zu steigen zu dürfen. Die SPORT1-Übertragung beginnt ab 20.00 Uhr, über den Kampfabend werden Sarah Valentina, Axel Schulz sowie Tobias Drews berichten. In Sundsvall, Sweden, will Verena Kaiser, „Die Kaiserin“ fight against Michaela „Destiny“ Laurén about the World Championship of IBO in superwelter weight. An interesting match-making. Mikaela is very experienced and had fought the best boxers in the female scene, like Cecilia Braekhus, Christina Hammer and Klara Svensson. 34 bouts with 29 victories and 13 KOs on her record. Verena Kaiser is starting up her career with 10 bouts as a pro, won all and the half with KO. Two tough fighters, this is a real good bout! The fightard in Sundsvall is just fantastic. Adrian Granat vs Otto Wallin will tell us who is the best in heavyweight in Sweden. The winner will be the EBU-EU Champ. Otto Wallin is seen fom the mayority as the better one, but Adrian will certainly be highly motivated as he nowadays has Jonathan Banks as his coach. Granat „The Pike“ is a hard-hitting boxer and if he get through the guard of Wallin, it will be dangerous. 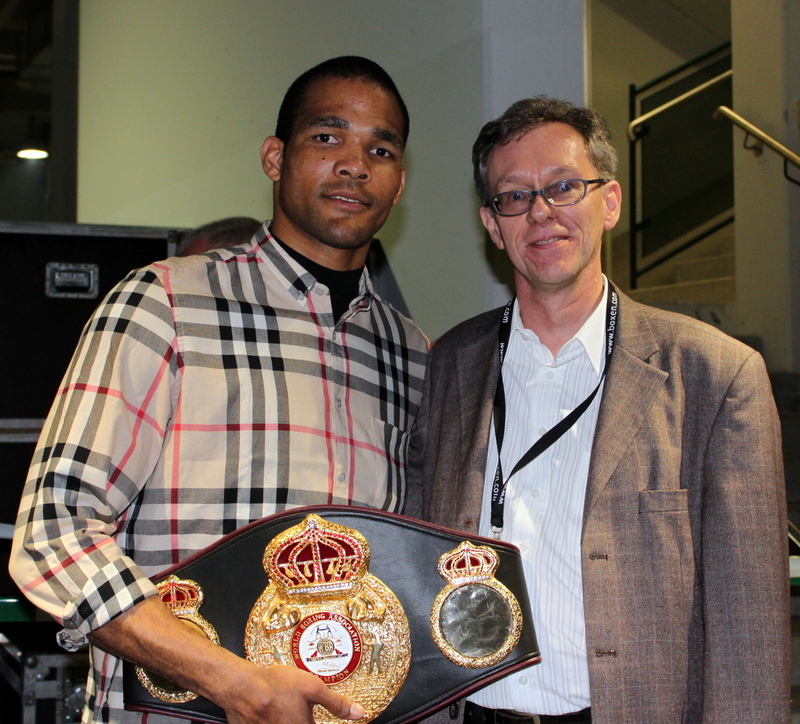 15 victories we have on the reocrd of Granat with 14 KOs, so it is definitely Dynamite in the hands of Adrian. Sven Fornling takes care about Karel Horejsek in a bout of 10 rouds. Oliver Flodin is a boxer to keep your eyes on. He has a remacable lot of experience as an amateur boxer with 200 bouts. Otto Wallin: EM-Titel im Kopf, Enguema vor den Fäusten! Diesen Kampf muss Sauerlands Schwergewichtler Otto Wallin unbedingt gewinnen! Am 2. Dezember boxt der Schwede (18 Kämpfe, 18 Siege) gegen den Spanier Gabriel Enguema (11 Kämpfe, 8 Siege) in der Potsdamer MBS-Arena. Und der Sauerland-Schwergewichtler ist zum Siegen verdammt! Denn: Im nächsten Jahr will sich Wallin mit Landsmann Adrian Granat um die EM-Krone im Schwergewicht duellieren. „Dies wäre einer der größten Kämpfe in der schwedischen Boxgeschichte. Deswegen darf jetzt auch nichts mehr schiefgehen“, sagt Nisse Sauerland. Tyron Zeuge trifft im Hauptkampf des Abends zum zweiten Mal auf den Nigerianer Isaac Ekpo, um seinen WM-Titel im Super-Mittelgewicht zu verteidigen. Eintrittskarten für die Box-Weltmeisterschaft am 2. Dezember in der MBS Arena Potsdam sind im Internet bei www.eventim.de sowie unter der telefonischen Ticket-Hotline 01806-570044 erhältlich. Otto Wallin (18-0, 12 KOs) will face Gabriel Enguema (8-3, 5 KOs) in a ten-round contest on the undercard of the WBA World Super Middleweight title rematch between Tyron Zeuge and Isaac Ekpo on December 2 at the MBS Arena in Potsdam, Germany. It is a must-win fight for the Sundsvall southpaw as he looks to secure a Swedish super-fight with heavyweight rival Adrian Granat early next year. Wallin and Granat are mandated to meet for the European Union title. However, both must overcome a final hurdle, with Granat also set for action in Germany in December. Wallin fights for the first time since April following a triumphant homecoming at the Sporthallen in Sundsvall where he stopped former Italian Champion Gianluca Mandras in the fifth-round to claim the WBA Continental title. The 26 year-old, who currently based in New York with his coach Joey Gamache, says he is looking forward to returning to the ring, and knows he cannot afford any slip ups if he is to remain on course for a hotly anticipated showdown with his domestic foe Granat. “I’m looking forward to fighting again,” said Wallin. “It’s been a while since my last fight in April so it will be nice to get back in the ring. I’ve been training hard and I’m ready to show everybody the improvements I’ve made in the gym. “Enguema is a good opponent. He is the same size as me, maybe a bit heavier, and he looks very athletic. I think he will come in good shape and I will need to be ready. I can’t take anything for granted or he could cause me some problems. Tickets for the WBA World Super Middleweight title fight between Tyron Zeuge and Isaac Ekpo at the MBS Arena in Potsdam, which features Otto Wallin versus Gabriel Enguema, are available online via http://www.eventim.de or by calling +49 (0) 1806-570044. Swedish heavyweight Otto Wallin (16-0, 11 KOs) must meet a new opponent in a new country after Eugene Hill was forced to withdraw from their scheduled contest on December 9 at the Rosvalla Arena in Nyköping, Sweden. Hill was unable to travel to Sweden due to unpaid child support, and although a replacement had been found, strict regulations imposed by the Swedish Martial Arts Delegation, meant there was not enough time for a new opponent to be approved. Instead, Wallin will face Raphael Zumbano Love (39-13-1, 32 KOs) a week earlier on December 3 in Sofia, Bulgaria. He will be fighting in front 15,000 fans at the Arena Armeec on the undercard of the WBA Intercontinental Heavyweight title clash between European Champion Kubrat Pulev and former World Champion Samuel Peter. ‘’Of course, I’m disappointed to not be able to fight at home, but unfortunately with the political situation in Sweden, that was not possible,’’ said Wallin. Despite his disappointment, the Sundsvall southpaw says he is looking forward to joining former sparring partner Kubrat Pulev in action in the Bulgarian capital. Swedish fans can watch Wallin vs. Zumbano Love live and exclusive on Viaplay Fighting. For more information please visit http://www.viaplay.se. Kubrat Pulev (23-1, 12 KOs) has predicted a strong and spectacular victory for Bulgaria when he faces former World Champion Samuel Peter (36-5, 29 KOs) in his long awaited homecoming fight on December 3 in Sofia. The current European Champion has completed his preparations in Berlin, and will fly home to Bulgaria later today ahead of his WBA Intercontinental title challenge, which will take place in front of 15,000 fans at the Arena Armeec. Pulev says he is pleased with his preparations, and is eager to inspire a new generation of Bulgarian boxers when he steps through the ropes on Saturday night. We caught up with ‘The Cobra’ following one of his final sparring sessions. How have your preparations been for the fight with Samuel Peter? This will be your fourth fight with coach Ulli Wegner in your corner, how has he helped you to develop? Do you believe Ulli Wegner is the right man to lead you to World title success? ‘’Yes, I do. He has great experience and has helped turn many boxers into World Champions. Now we have gotten to know each other better it has become easier to work together, and in future our partnership will only improve. There has been a lot of excitement since it was announced you would be fighting in Sofia, how important for you is the support of the Bulgarian people? Do you hope this will be the first of many fights in Bulgaria? Finally, do you have a prediction for the fight? Kubrat Pulev faces Samuel Peter for the WBA Intercontinental Heavyweight title on December 3 at the Arena Armeec in Sofia. Tickets are available via http://www.eventim.bg. IBF cruiserweight Hernandez vs Alekseev and a great fightcard! IF YOU LIKE BOXING, YOU WILL LOVE THIS EVENT. EXCELLENT FIGHTCARD! !